Specifically formulated to enhance adhesive bonding to classic porcelains and high-strength dental ceramics including Zirconia and Lithium Disilicate. 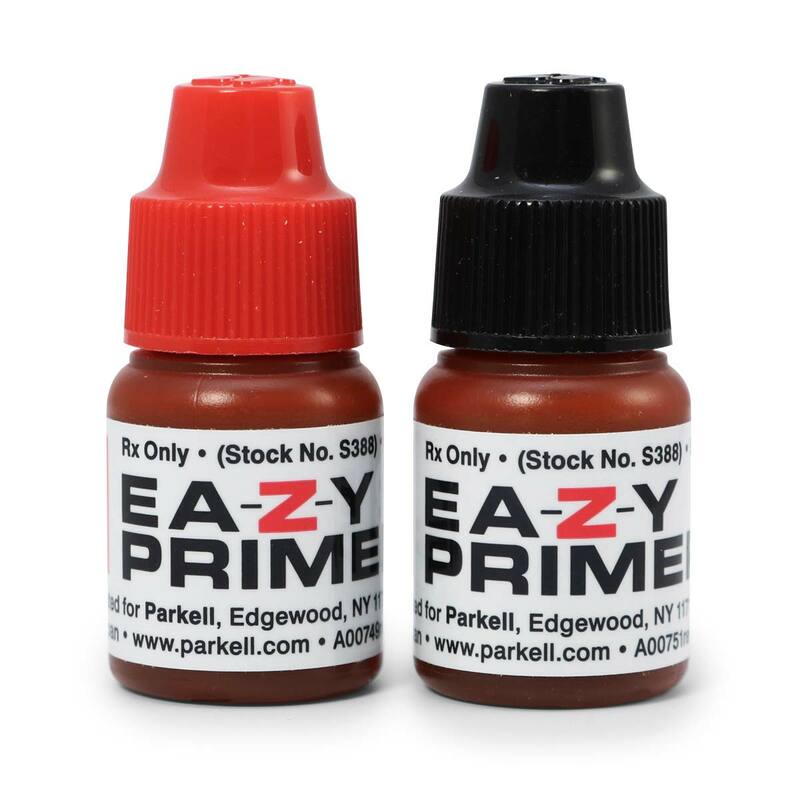 Ea-Z-y Primer™ is a revolutionary new ceramic primer specifically formulated to enhance adhesive bonding to classic porcelains and high-strength dental ceramics. Whether it’s Feldspathic or Aluminous Porcelain, Lithium Disilicate or Zirconia, Ea-Z-y Primer creates strong bond to substrates. This two-bottle system contains Silane and MDP and is only activated at the time of use to maintain maximum freshness and exceptionally long shelf-life. 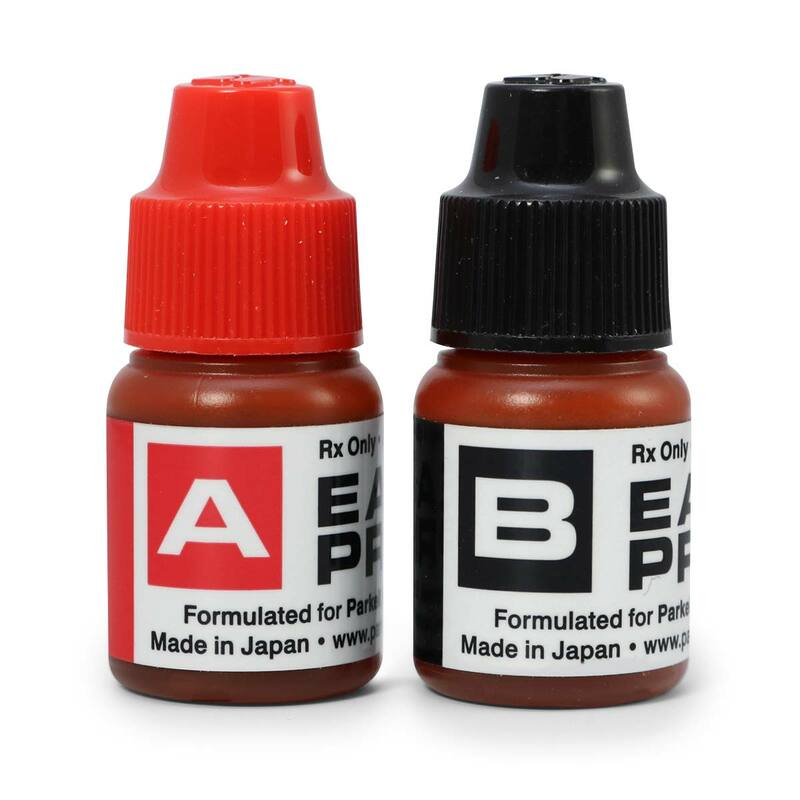 After the appropriate surface-roughening treatment, as specified by the material’s manufacturer, simply mix equal amounts of Ea-Z-y Primer from the “A” and “B” bottles and apply the liquid to the restorative surface. Wait 15 seconds and then lightly air dry. What remains will be an easy-to-see glistening surface, assuring you that you’re ready for the next step. Ea-Z-y Primer is the perfect adjunct for bonding ceramics to resin cements or resin composites, giving you strength, durable adhesion, excellent esthetics and restorations that last. —Dr. Richard Goldman Fellow of the Academy of General Dentistry, VP Clinical Product Development, Parkell, Inc.